What are mattress comfort zones: the good, the bad and the confusing! As the market for mattresses gets increasingly competitive and you, the savvy consumer, get wiser to what the jargon really means the retail sales machines crank it up a notch. A recent development is the ‘comfort zones’ benefit in mattresses. We believe these fall under three categories; the good, the bad and the confusing! This is a brilliant question and one which has little information in the way of an answer. A comfort zone in its purist term is when a mattress contains various tensions, densities, depths or firmness areas giving you a mattress that has a variety of zones within it. There are however a number of methods of creating this, some good and some awful! 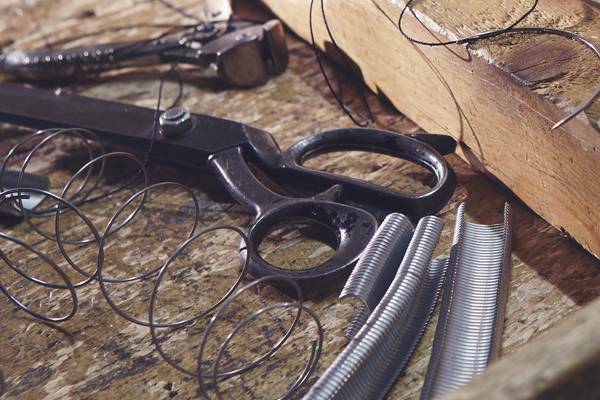 It has been standard practice in traditional hand made pocket sprung mattresses for some time to offer dual tension springs or mattress zoning. This is to usually accommodate different weights in sleepers. This mattress zoning that makes perfect sense as it gives both sleepers their own preferred tension. Both of these features are valid, demonstrable and can be of benefit to the sleeper. We offer an excellent range of dual tension and zip and link mattresses if this is the type of zoning you require. 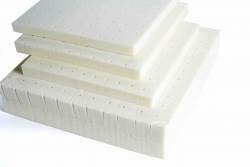 In premium solid core latex mattresses ‘comfort zones’ are used to provide different tensions in the same piece of latex foam. This is achieved by varying the size of the perforations in the latex. For example, a 3 comfort zone solid core latex mattress will have 3 areas where the perforations either increase or decrease resulting in either a softer or firmer feel in that zone. At John Ryan, we offer the highest quality latex with 7 comfort zones. This provides you with 7 different pressure-relieving areas firmer where pressure points on the body are. The 7 zones cover the following areas head, shoulders, back, hips, knees, legs and ankles. It allows for more pressure relief and comfort. Here is an experience of bad ‘comfort zones’ or as we like to call them the ‘Frankenstein Mattress’. Comfort zones are sometimes used when a mattress is made up of a number of materials, stuck together in a Frankenstein-like fashion. You may have heard of perimeter support which is used in a number of traditional mattresses, where a firmer spring is used nearer the edge so you don’t roll off easily. Yet in foams, the density of the foam should be consistent so rolling off is minimised. Terms like perimeter support in latex beds are often used to combine cheaper memory foam to a latex mattress around the edge to give more support, which we know from our post on perimeter support is unnecessary. We believe this is to reduce the amount a manufacturer has to spend on latex whilst being able to sell the mattress as ‘latex core’. The truth is only solid latex core guarantees a full latex mattress and we only sell solid core latex mattresses in our Fusion range. 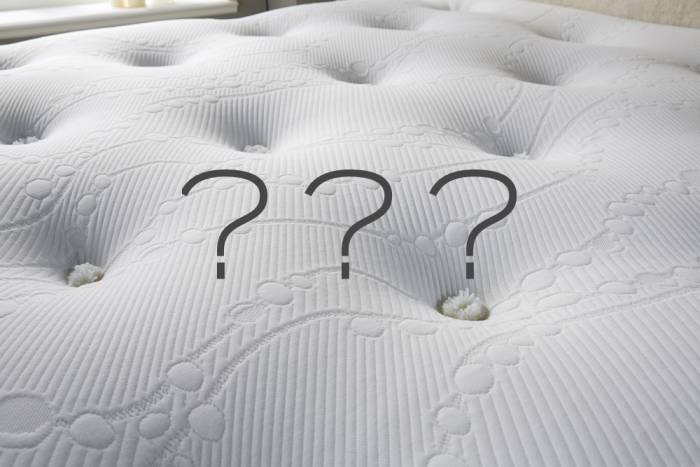 In memory and hybrid mattresses the comfort zones sometimes are different densities of foams that are used together to give different tensions on the mattress. We’re sure you are now scratching your head saying ‘isn’t this a bit of a swizz?’. The difficulty is the memory and hybrid foams don’t need necessarily need comfort zones because the benefit of the material used is that it has a consistent density in one piece. We need to mention foam encapsulated pocket springs here (FEPS) these really do need perimeter support or foam edging to enable them to remain in one consistent piece. FEPS should be excluded from the perimeter support argument here. Think of it as a foam box to encase a row of springs so they stay uniform. Our shop cutaways of the pocket-flex mattress will show you this. With the exclusion of FEPs, all other memory/hybrid and latex foam perimeter support should be looked at with some trepidation. Confused? It really is starting to sound like a horror movie! Let’s try and give a more relaxed example. Using the cake analogy, if you cut different cakes together and then stuck them together you would get a variety of flavours and textures, which to some may be appealing. The downside is there would be no consistency overall and each type of cake reacts differently to the palette. 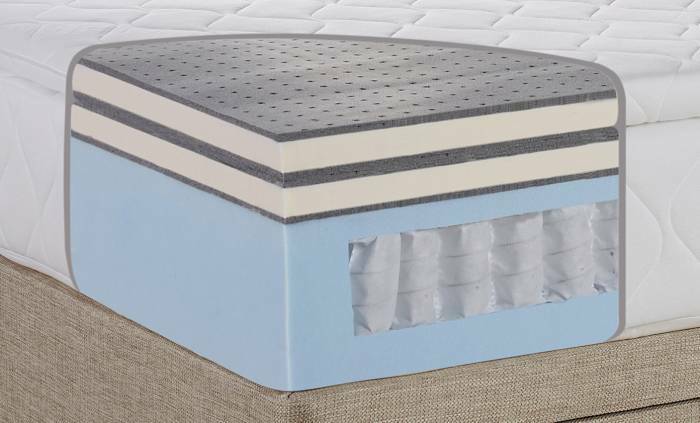 In mattresses the same rule applies, the benefits of a foam mattress should be getting the right consistent density for the weight and preference of the sleeper. Memory, hybrid and latex foams main benefit is it reacts and moulds, albeit in different ways, to the body of the sleeper. Now imagine if you put a number of different densities together and foams you would end up with a very mixed bag in terms of consistency. Moving on to the no turn issue in mattresses, you can imagine that on a one-sided mattress this then multiplies the issue around sagging and wear. If foams are cut and adhered to other foams we class this as the ‘Frankenstein mattress’. Let me use a recent example of a large well-established homeware store in the UK. Now we are the chivalrous sort so we won’t name names as we are critiquing the sales jargon, not the seller here. They advertise a Kingsize pocket sprung mattress, granted this is not a memory foam mattress, which contains 7 comfort zones, furthermore they have a range of mattresses with 5 to 9 comfort zones. The Kingsize pocket sprung is the one we have direct experience of. Their brochure and retail stores clearly label this as a benefit of the mattress. All so far so good. It falls apart when you ask them the basic question of ‘what is a comfort zone?’. Then the tumbleweed approaches and an eerie silence descends (apologies we may have been reading a horror novel late last night) and the staff cannot tell you what these are. At best you will get the following ‘they are zones in the mattress made up of different comfort levels’. It’s all getting very twilight zone as they awkwardly answer you and the shop turns silent. Confused? You and us both. A further query about what these are made of and you get a response of either ‘its different materials’ or ‘I’m not sure’. This is when our investigative skills kicked in and out came the trilby. Without going into excessive details would you believe that we have had seven email responses from the company and their product enquiry team all stating they don’t know what these comfort zones are? The line of enquiry was started in June 2013 and still we have no answer apart from ‘we don’t know’. That they will have to ask the manufacturer, who also doesn’t seem to be able to articulate this either? We think the example is demonstrated here about sales jargon and unclear benefits. Let’s keep things simple. The comfort zones we have tested and approve are zip & link mattresses or solid core 100% natural latex. Comfort zones are just another ploy to try and differentiate mattress products from others, but in reality, it’s similar to thinking changing the colour of the spring casing will change its feel. If in doubt give our friendly small expert team a call to help clarify any comfort zone issues you have on 0161 437 4419.